Here we are in the fall and you know what that means? The Typography department people are going to be working around the clock for this year's Fall Fonts Festival, and so I'm thinking I'll give'em a hand with the Creative Tidbits columns this month. . . Have fun and if YOU have a creative tidbit to report, please send it in! Hefalo Script ~ fresh and fun! I am a writer: a screenwriter, short story writer, online article publisher, and program creator. I write science fiction and fantasy screenplays and stories. I also write a lot about the process of writing, claiming your true calling as a writer and as a creative, and making your biggest dreams real. In addition to my own writing, I use my intuition, empathy, and practicality to help leading, visionary writers step fully into their creative ideas, dreams, and abilities. You'll remember my story about the California ambulance chaser law firm that goes after people who use photos from the web for money? Well, I'm thrilled to discover the unsplash.com site where they do not support those blood-sucking bottom feeder lawyers, and recognize the spirit of sharing! unsplash.com is a project by "CREW" where designers and developers have won Emmys, Cannes Lions, Apple design awards, and have built products used by tens of millions of people for some of the best companies on the planet. Crew is an invite-only community where you meet top freelance designers, developers, or studios to build your next project. see lots more shots from Unsplash, via GOOGLE . . .
Pantone has launched a brand new, colourful iOS app as part of the company's ambitious push into digital in order to reach out to younger, tech-savvy digital designers. Although Pantone has already ventured into the app sector before with the launch of its MyPantone in 2009, the new app does sport several new features that the company hopes will set it apart from the slew of other design-focused apps as the go-to tool for design professionals and creatives. It's FREE at the App Store! Advances in production digital printing toners and inks are creating new opportunities to capture high value pages that require more than traditional CMYK-based colors. The powerful combination of special effects (white, clear, textures, metallic, fluorescents, etc.) with the unique capabilities of digital printing (personalized and on-demand production) is opening up new applications traditionally produced with offset presses and enabling printers to add value to jobs and have a competitive differentiation. We thought this set of 33 free icons has a flavor all their own in a glutted field of millions of minimalist icons. And, they translate beautifully to bitmapped applications as well. You may not think there’s a place in this world for the ugliest color, but you’re wrong. 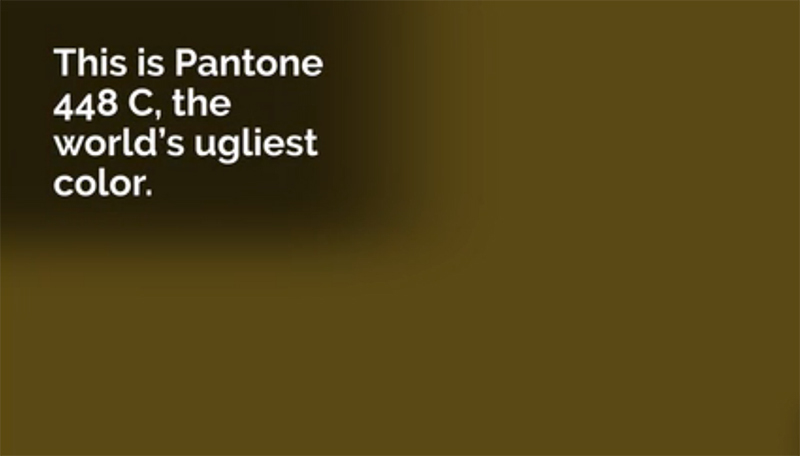 Pantone 448c and its muddied, brown awfulness, was deemed the world’s ugliest color by a group of researchers looking for a color that would help make cigarette packets as unappealing as possible. But seriously folks, this is the color of the sewage we pump out of the boat after a big weekend boating!! Careful, this site is "Click-Bait"